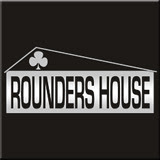 Rounders House, a new poker reality show, begins taping in Las Vegas this fall. Sixteen contestants will compete live to win prizes for themselves as well as their favorite charity. This weekend, the winner of the Online Forum Challenge at Reefer Poker will be the first contestant to be awarded a place in the house. Dennis Brown, co-founder of the show, is very excited about the launch. “Rounders House brings reality TV to your house. Rounders House will have multiple LIVE 24/7 cams in the house so you never miss what these poker players are doing,” commented Brown. All Rounders House contestants will qualify to appear on the show by winning online poker tournaments. Each package won will provide the winners with airfare, food, four days and three nights lodging at Rounders House, instruction from top Poker Pros, and a buy-in to a land based tournament in Las Vegas, NV. The first Rounders House package will be given away as a bonus prize in this weekend’s Online Forum Challenge at Reefer Poker. All details for this give-away and pre-registration are available at the Online Forum Challenge website (http://www.onlineforumchallenge.com/) . The other fifteen contestant packages are up for grabs via online qualifiers. This new poker reality show will be available free at http://www.roundershouse.com/ where a complete list of satellites and finals tournaments on select online poker sites is currently available.